Whether you’re a mountain fanatic, beach bum, or canyon lover, Texas has some of the most unique and diverse types of land when it comes to outdoor adventures, camping in particular. So grab your sleeping bag, pack your tent, and let the moon guide you to some of the coolest camping spots in the state. Known for its rugged mountains reaching higher than 7,500 feet, steep canyons dipping as low as 1,800 feet, unparalleled night skies, and solitude in a high desert setting, Big Bend National Park is the top dog when it comes to parks in Texas. 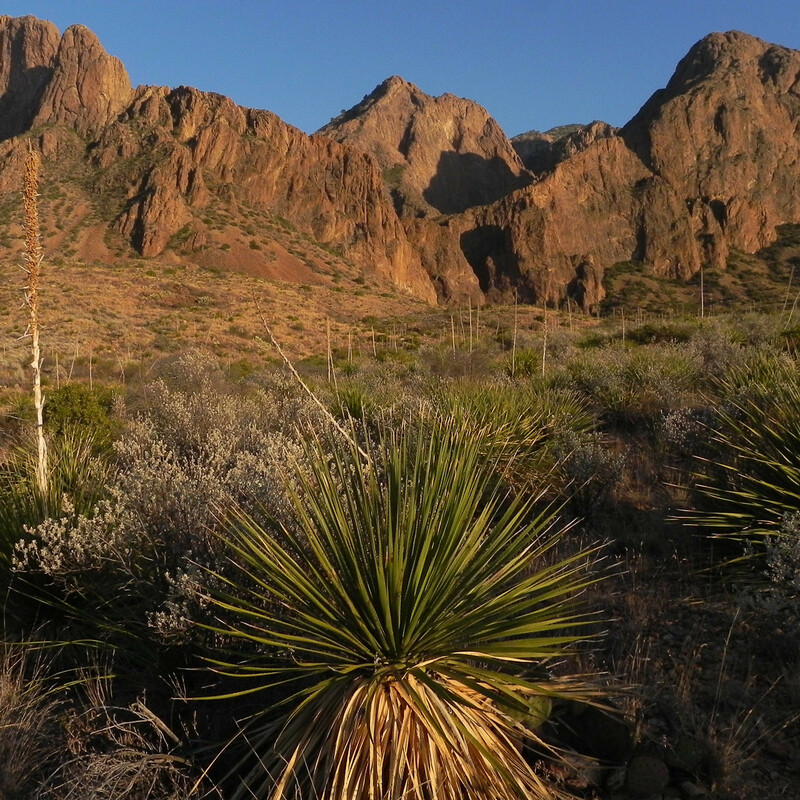 As the largest state park in Texas (311,000 acres), Big Bend has over 230 miles of trails ascending jagged peaks and winding between cliffs and canyons. 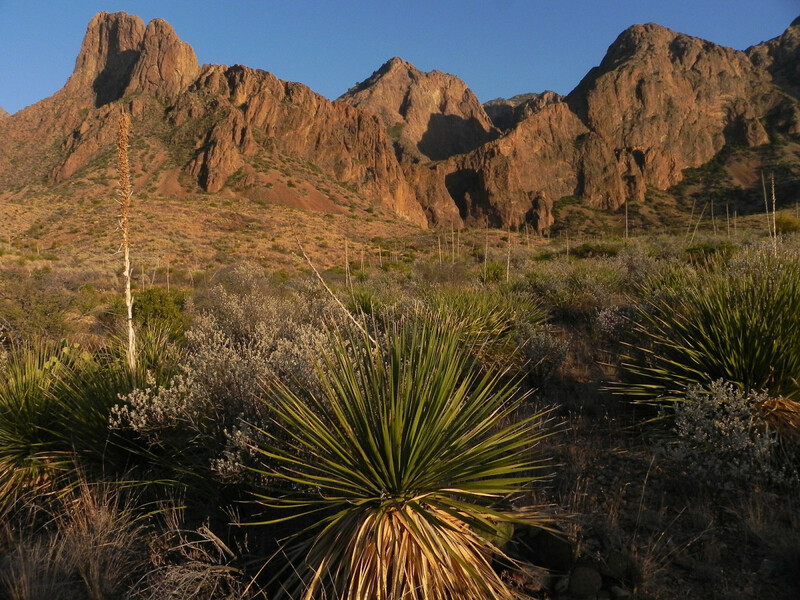 You have a few options when it comes to camping at Big Bend but Chisos Basin Campground, smack dab in the middle of the park at an elevation of 5,400, is the most sought after camping area — and for good reason. Tucked in the Chisos Mountains you’ll have gorgeous views from every direction, amazing sunrises, and a night sky filled with more stars than you have ever seen because light pollution is basically nonexistent out here. Each site has a grill, and there are toilets nearby, but you should know that the only animals allowed are the wild ones (sorry, Fido). You’ll find plenty of hiking trails nearby like Lost Pine Trail, The Window Trail, and the hike to Emory Peak, but arrive early and reserve a site because the 60 campsites fill up fast. The Grand Canyon is certainly the largest canyon in the U.S., but the second largest can be found right in the Texas Panhandle. Palo Duro Canyon, often referred to as “The Grand Canyon of Texas,” measures at roughly 70 miles with an average width of six miles and depth up to 1,000 feet. There are over 100 campsites throughout the park not counting the backpacking sites along the canyon floor. Sagebrush Campground is the first campground you’ll pass when you enter the park and one of the most popular places to camp. Hackberry Campground is centrally located right near the amphitheater, and just across from one of the longest hikes, “Givens, Spicer & Lowry” running trail, an 11-mile round-trip for those on foot or bike only. Mesquite Campground is at the southern end of the park with basic accommodations with 10-plus miles of trails nearby. 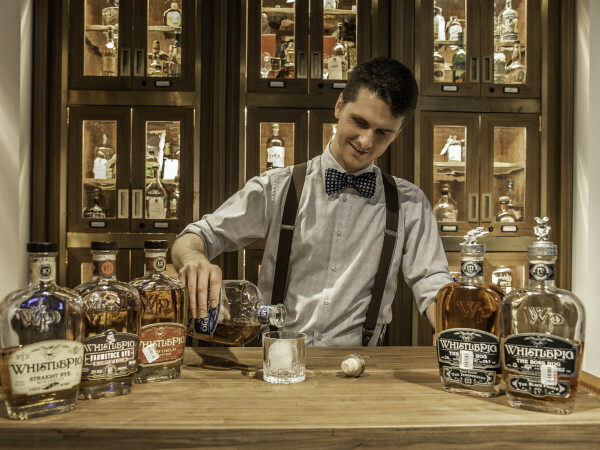 Basic accommodations (restrooms/showers/water/electricity hookups) are offered at all three. If you’re looking to “rough it,” head to the tent-only Cactus Campground, where you’ll find just seven campsites. Shaded shelters are provided but you’ll have to earn your shower by hiking a mile or two. And water is available at the campground but not at every site. So pack in what you need if you don’t plan on leaving. There are loads of hiking, biking, and horseback riding trails for various skill levels so just because you might be at a lower skill level doesn’t mean you won’t have access to some of the most spectacular canyon vistas, caves, and rock formations. Be aware that there is little shade on the trails so come prepared, especially if you’re exploring in the summer. If primitive beach camping is your thing, steal away to the southern shores of Texas where you’ll find the “longest stretch of undeveloped barrier island in the world.” Padre Island National Seashore boasts more than 60 miles of primitive beach camping on a first-come, first-served basis. Some of the camping areas are so primitive (Yarborough Pass) that you’ll need a 4X4 and good sense of direction just to get there, but once you do, you don’t have to pay a camping fee like you do at the other four camping areas. Campfires are permitted in fully contained barbecue grills at designated sites, but on North and South Beach you can also have a pit-dug campfire in the ground. If you want to see something extra cool (and avoid spring breakers), plan your camping trip from late April through mid-July. The park is home to the Kemp Ridley Sea Turtle, one of the most endangered sea turtle species in the world. And during those months you might get lucky enough to see newly hatched baby sea turtles being released into the wild. Located just north of Austin, Colorado Bend State Park is a 5,300-acre mecca for adventure. While at the park you can tour an elaborate maze of caves (filled with bats), hike to the 60-foot breathtaking Gorman Falls, whitewater raft the Class I-II rapids of the Colorado River, and dash through 26 miles of untamed mountain biking terrain. And with all of the swimming holes, it makes for a great spot to camp, even in the middle of a Texas summer. Your fur babies are allowed here as long as they stay on leash. Choose from one of seven campgrounds that range from drive-up or walk-in with basic accommodations to primitive sites that offer reprieve from the crowds and prime sites right along the river. 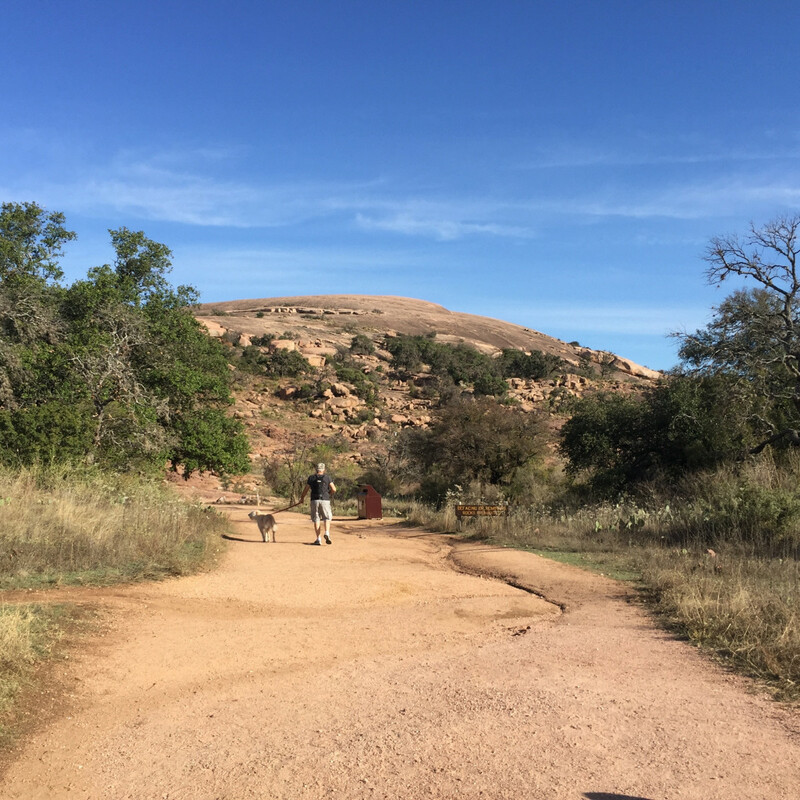 The park offers a few free group hikes to the falls and night hikes up to Spicewood Canyon Trail for a great view of the canyon below. Check the events page for more details. Looking for some spectacular fall foliage but can’t make it to New England? Head to Lost Maples in the late fall to early winter to see the bigtooth maples change to all shades of orange, yellow, and red. 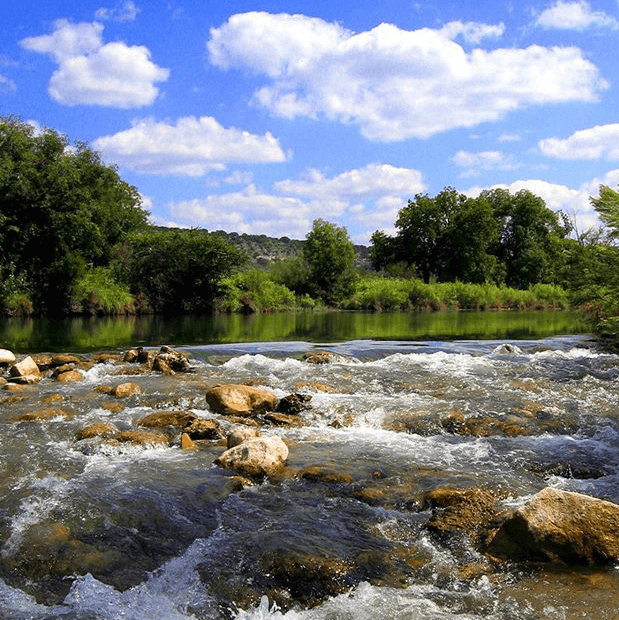 Lost Maples also packs some of the coolest features in the Texas Hill Country with its limestone grottos, trails lined with lush trees crisscrossed with streams, a monkey-shaped rock formation, wildflowers, and access to the Sabinal River. 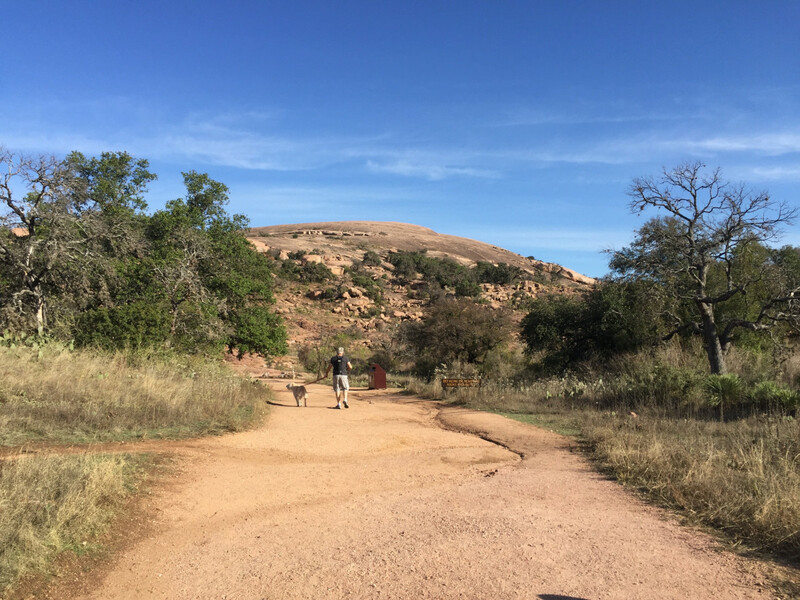 There are over 10 miles of trails, one with a looped trail that takes you along the top of a 2,200-foot cliff overlooking the beautiful Hill Country. Many choose to camp at one of the 30 drive-in sites, some of which are situated right along the Sabinal River and have restrooms and water nearby and a fire ring. If you’re tent camping and want a more private experience where other campers and RVs aren’t surrounding you, choose one of the 50 primitive sites throughout the grounds. You’ll have to pack in all of your gear but it’s well worth it. Rope swings that send you soaring into the Frio River, a night sky littered with stars, epic trails that lead you to breathtaking vistas of the Texas Hill Country — these are what childhood memories are made of. Hiking up to Old Baldy is one of the more popular hikes, but be aware that you’re climbing on loose rocks and it can get tough in areas. 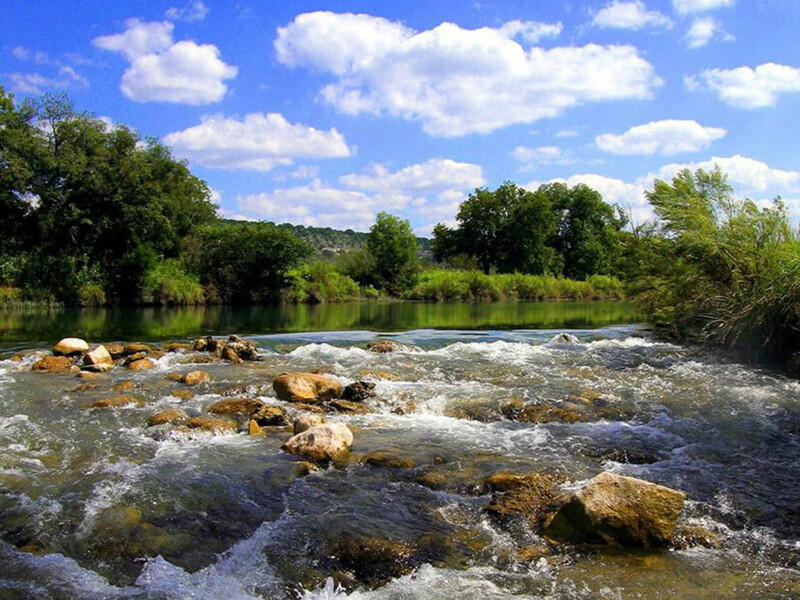 When you reach the top you will be rewarded with views of the Frio River and the rolling hills. Nearby trails will lead you to creepy caves worth exploring and trails down to the river for a refreshing dip. If you’re looking to take advantage of the 2.9 miles of river that meander through the park, you can always rent a tube or kayak at the general store in the park, also good to know in case you forget a few camping essentials. Make reservations in advance because Garner State Park is a popular spot, especially in the summer, and oftentimes they will close the park by 10 am if it reaches capacity. Pedernales Falls State Park is unlike any other park in Texas Hill Country. If this is your first time visiting, you will be completely taken aback once you hike down the unassuming short path to the falls. Out of nowhere, the landscape literally opens up to a dramatic display of rolling waterfalls carving through bare rock. It almost resembles that of a moonscape but with small pools of water. In the summer, the water at the falls is quite peaceful and calm, but during rainy season the water rages something fierce. The park has a diverse range of trails, lagoons, and rivers to swim in and is quite popular for bird lovers. There are bird blinds located throughout the park, so bring your binoculars if that’s your thing. For one of the most breathtaking views of the park, head over to Trammel’s Crossing Trail and the 5.5-mile loop. Besides the group and equestrian camping areas, there’s one main area, equipped with water and eclectic accommodations. Fires are permitted in the fire pits in this area as long as there’s not a burn ban. Do note that dogs are permitted on the trails and all camping areas, except the few primitive campsites. If stargazing is what you’re after and you can’t make it out to West Texas, Enchanted Rock is one of the few official Dark Sky Parks in Texas. On clear nights, the sky is filled with stars and exceptional views of planets and the Milky Way. And don’t let the giant pink granite dome of a rock fool you, as the climb to the top will certainly get your heart pumping but will reward you with spectacular views. Rock climbers love E-Rock for its diverse range of climbing opportunities. All of the 46 campsites (all tent camping here) are walk-in, so come prepared to carry your stuff. And while dogs are permitted at the camping areas and on the Loop Trail, they are unfortunately no longer permitted on the actual rock. If you’re heading out to West Texas, this historic park should definitely be on your list. Just 30 minutes north of quirky Marfa, Davis Mountains State Park is filled with hiking, biking, and backpacking trails. And when you’re out this far in the middle of nowhere, the stargazing is absolutely spectacular. So much so that there’s a Star Party at the nearby McDonald Observatory where you can enjoy night sky constellation tours and views of celestial objects through a number of telescopes provided by the observatory (make reservations, because it almost always sells out). As far as the actually camping goes, it’s far less rugged than you might imagine for such a remote place. 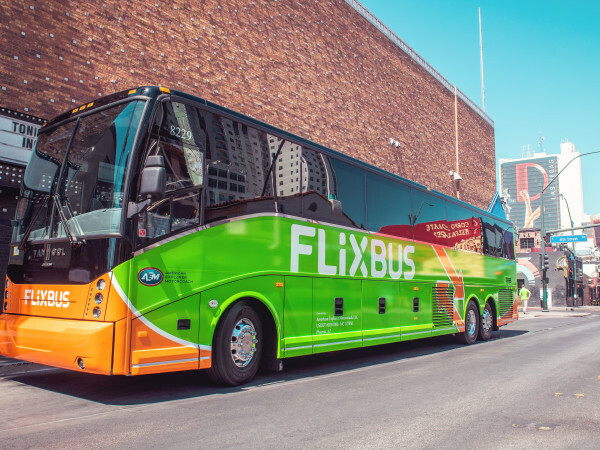 All sites have picnic tables and grills and are located near restrooms, and then the water, electricity, and sewer hookups can be found at various sites, as well as cable TV hookups. 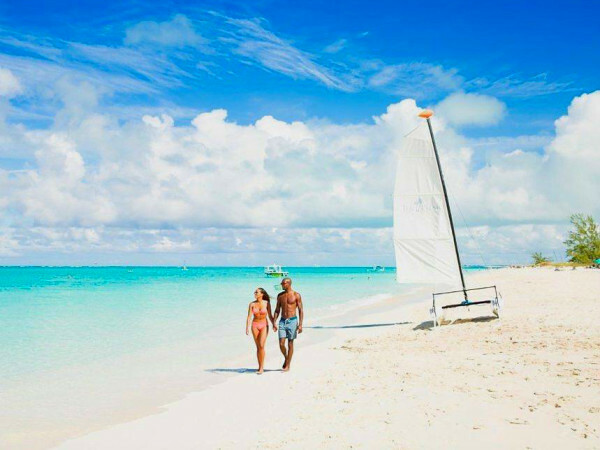 If you’re craving adventures on both land and water, this 1200-acre escape might be perfect for you. Lake activities of swimming, boating, waterskiing, paddle boarding, kayaking, and scuba diving are all the rage. And you can rent gear from the park store if you don’t have your own. On land you can trek through the nine miles of hiking trails that take you through shady forests and across rocky hills. Many of the campsites at Inks Lake are on the water. There are nearly 200 camping spots, but they go fast in the busy season, so make reservations in advance. If you’re looking for a quieter spot away from the boat traffic, reserve a site on the eastern end close to Devil’s Waterhole, which is also a great spot to swim. Check the events page for more details about ranger-led nature walks, geology hikes, canoe tours, and other programs.